A while back, you may recall my entering a spicy pickle eating contest hosted by The Real Dill. You can read about it HERE. Well, after blogging about it, they were kind enough to send me the awesome gift of a jar of their brand new creation! Anyway, Joe and I were back at Denver Beer Company last Friday and decided to check out a new to us food truck. These guys have a couple of shops in Denver and since Joe was starving, I insisted he get a sausage. They also have lots of veggie and fish options in their stores, so I can eat there too! If you are in the Denver area, I highly recommend you check them out! AND!! As if that wasn’t enough for today, I would like to clue you in on a little recipe contest Tribesports is having! So, all of you super (way more than me) creative chefs and bakers out there get cookin’! Add your favourite healthy recipes to the Cooking and Recipe Swap Tribe – extra points if you can get a photo of your dish. We want your family’s secret recipes, your best imaginative money stretching recipes, your special occasion recipes – any recipe which you want to share. Dinners, breakfasts, brunches, lunches and snacks all welcome to enter this competition! 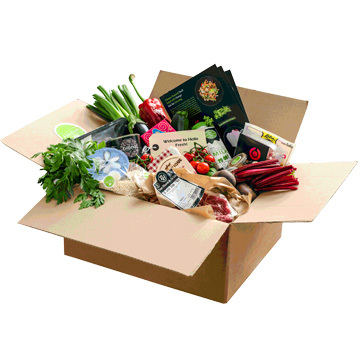 ALL UK USERS CAN CLAIM £20 OFF YOUR FIRST HELLO FRESH ORDER – Now that’s a deal worth sharing! So what are you waiting for? Get sharing your recipes and may the best chef win! This entry was posted in Eat and tagged contest, recipes, the real dill, Tribesports, uber sausage. Bookmark the permalink. I am loving pickles right now! Those look great! omg i can imagine those pickles would be divine. like whoa. i will be upset with you when they are gone. 😦 i don’t eat meat but that baguette looks convincingly delish. hmmm… 🙂 have a wonderful weekend to you too! I love eating pickles after a run, so tasty! That sandwich looks so stinking good! doesn’t it?! and yes…pickles are THE BEST!! Garlic dill pickles? Um, yes please! Those sound awesome! I be they would be really good fried, too! Not very healthy, but good ;). Sausage on a baguette… what a unique idea!! It looks incredible. I love pickles and those look so good!